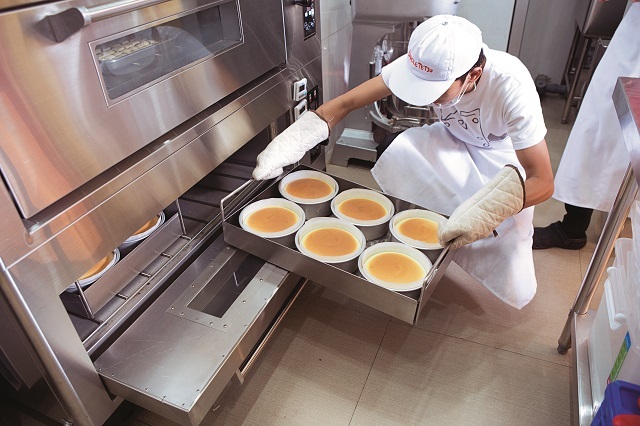 A local bread manufacturer imports the Japanese cheesecake concept. LIGHT AND FLUFFY. Walter Co, president and CEO of Walter Bread, had to wait for 45 minutes in line in Taiwan just to have a taste of the famous cheesecake. Photo by Heidi Aquende. 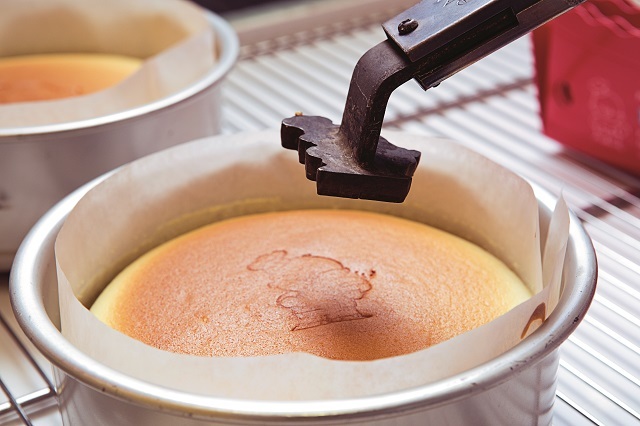 When Walter Co visited Taiwan for a business trip, he stumbled into a bakeshop with a long line of people waiting 45 minutes just to buy cheesecake. Curious and lured by the aroma of freshly baked cake, he decided to queue up as well. When he tried the cheesecake, he discovered it was different from the Western-style versions he had tried before – it was light and fluffy and almost melted in his mouth, and did not have the rich and dense texture of cream cheese. “It was like eating a cloud of cheese, and it was not overly sweet,” said Co, president of C. Walter Company Inc. and founder and CEO of Walter Bread. Not long after, Co set out to bring Uncle Tetsu Cheesecake to the Philippines. Uncle Tetsu is a concept from Japan started by baker and pastry chef Tetsushi Mizokami, Uncle Tetsu himself. The brand has expanded outside Japan, and apart from Taiwan, now has branches in China, Malaysia, and Canada. HOT OFF THE OVEN. Uncle Tetsu's cheesecakes are baked fresh everyday in-store. Photo by Heidi Aquende. In May 2013, Co met with Uncle Tetsu in Manila. “We assured him that we understand the bakery business, and presented to him our plans for the Uncle Tetsu brand in the Philippines,” said Co, who has been in the bread business for 33 years. His pitch convinced Uncle Tetsu, who eventually agreed to grant Co a master franchise for the Philippines. Uncle Tetsu Philippines opened its first store in July 2014. Under a joint-partnership agreement with franchisees, it has grown to six branches, with locations in SM Megamall, SM Mall of Asia, SM City San Lazaro, The Podium, Alabang Town Center, and most recently in SM City North Edsa. Three more franchised outlets are set to open in the first half of 2016, with locations in Cebu, Iloilo, and Davao. Co stands by Uncle Tetsu's unique product offerings. “Its Japanese-style cheesecakes are cottony-soft. Its melt-in-your-mouth texture is due to its low gluten content. Many people call it a soufflé cake,” he explained. He added that it is also a nutritious snack as it has less salt and sugar – a slice only has 140 to 150 calories. It also has no preservatives, and one can either eat it fresh from the oven, or chilled overnight for a denser texture and rounder, cheesy flavor. Aside from cheesecakes, Uncle Tetsu also has other baked treats like cheese tarts, pastry puffs, and cream cake rolls. Its latest addition, chilled decorated cakes, are in line with the company’s commitment to introduce new products every quarter, said Co.
Total investment: P7.5 million ($157,255.51) to P10 million ($209,674), depending on the size and location of the stores. In-line stores are allowed to have three satellite kiosks. Inclusions: License to use name, trademark, and logo; site selection; operations manual and systems; staff hiring and training; pre-opening preparations; marketing support; operations and quality assurance audits, among others. This article was originally published in the December 2015 - January 2016 issue of Entrepreneur Philippines magazine.